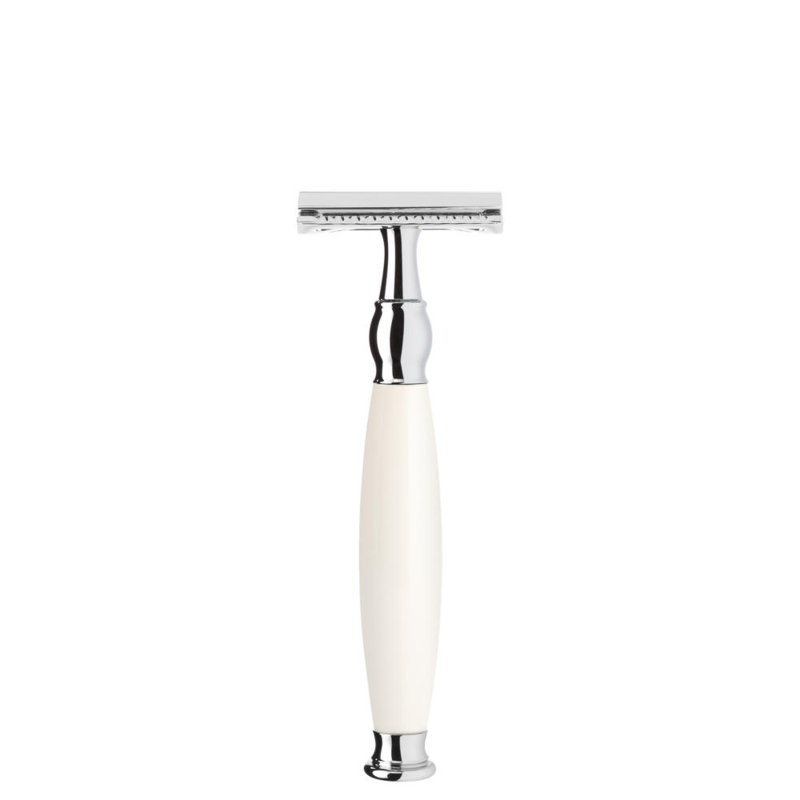 Muhle Kosmo bog oak mach 3 Is a top razor. The 1960’s style handle Is a contrast to the material being bog oak. From the peat bogs of southern Ireland, this 300 year old wood. Also mined by experts, then turned by Muhle the 76 year old company Into the Kosmo handle. 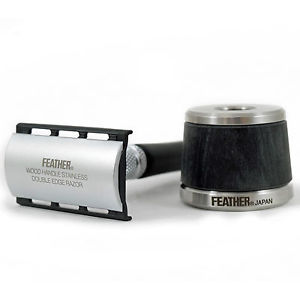 Edward’s also sells the ever popular safety razor version of this great razor. 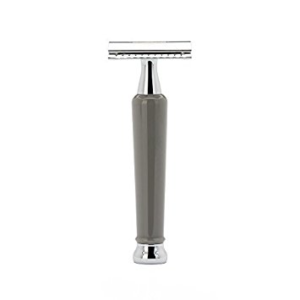 Also the 110 mm to the 72 g, the razor seems shorter than It’s length and considerably lighter also. A well balanced model. The metal Is plated chrome, there Is a button that expel’s the cartridge blade once finished. You will get a good 3 weeks of shaving off one blade though. 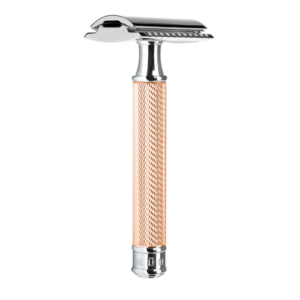 Mach 3 blades are a quick effective way to wet shave, this razor Is for the gent who likes a bit of class. But want’s to get out ASAP In the morrow. The Muhle Kosmo bog oak mach 3 comes In a rather lovely box. Not to mention we deliver free In the UK. 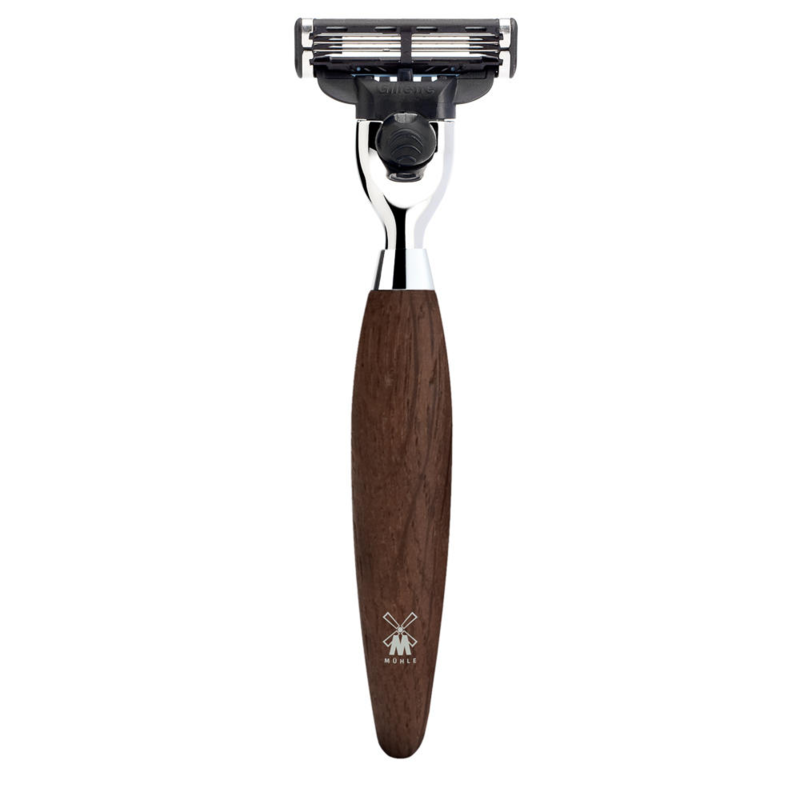 Edward’s are official retailers of Muhle shaving products, and we have a most excellent range. Please let us know If you have any questions regarding the Muhle Kosmo bog oak mach 3. Or perhaps If you have another Muhle product In mind perhaps we can order another In.